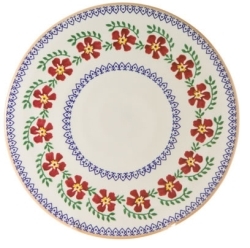 Home > Shop By Country > Shop Ireland > Nicholas Mosse Pottery, Handmade in Ireland > Current Patterns > Apple > Apple Footed Cake Plate 9"
Apple Footed Cake Plate 9"
Nicholas Mosse designed their Cake Plates to make entertaining a piece of cake! 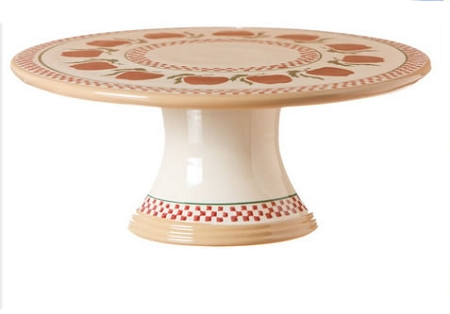 Each one is expertly hand-crafted in their Irish Pottery, ensuring the finish is both luxurious and long-lasting. As a result, the pottery pieces are ideal for any occasion you can imagine. From serving a selection of tasty treats at afternoon tea, to presenting a decadent Devils Food Cake at an exclusive dinner party; the choices are endless. 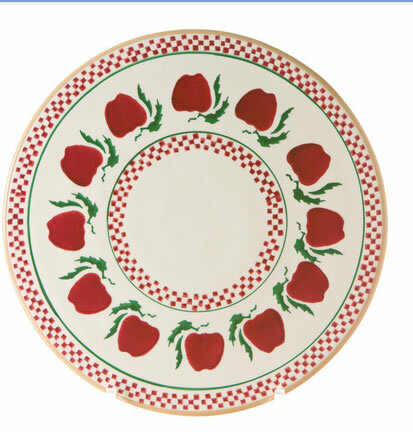 The Apple Pattern is a bright and bold design, sure to charm your guests.